May 27, 2010 -- India's foremost search marketing company, PageTraffic, reinforces its top position yet again. The certification adds to its long list of awards and accreditations. PageTraffic, previously credited with the Google Certified Individual, has upgraded to become a Google AdWords Certified Partner. Having served more than 1500 clients since 2002, the company is known for comprehensive internet marketing solutions, involving both organic and paid search. "We have always been India's most trusted pay per click Services Company and have served more than 200 clients now. Moreover, we have recently expanded our PPC team with a new center in Noida, which will help us in delivering better quality of service and expertise," says Navneet Kaushal, PageTraffic CEO. 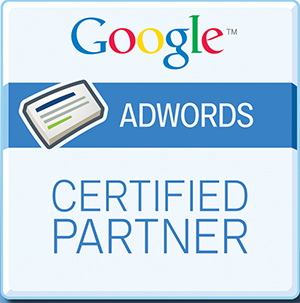 The new partnership program has replaced the Google Advertising Professionals accreditation previously awarded to PPC experts. The partners will receive training across search and display programs and will be able to showcase certified Google skills. For any one who is a client of PageTraffic, complaints are a rare occurrence. Now, with the new accreditation, PageTraffic looks to increase the quality and assurance associated with its services. The company's aggressive, yet, quality-centric approach has helped it scale up remarkably over the years. PageTraffic has recently added social media optimization and SEO ready website development services to its offerings with great success. The new development center in Noida is a major part of the expansion. "We have been relentlessly working on all fronts to offer better quality of service and ROI to our clients. Now, PageTraffic offers complete web services, from web design to site promotion, so that you will never have to go anywhere else." says Navneet Kaushal. PageTraffic Web Tech (P) Ltd. founded in 2002 is a premier SEO company with offices in New Delhi, Noida and Chicago. PageTraffic provides search engine optimization, PPC, link building, social media marketing and web development services. PageTraffic is also known for its unique full time offshore consultant offering. The company has above 1500 satisfied clients from all over the world. Visit PageTraffic for more information.